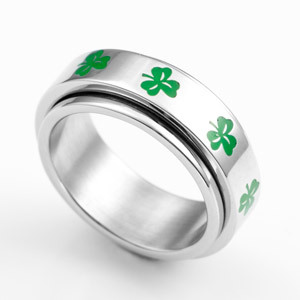 This ring displays a series of clovers, to represent Irish heritage, a love of Ireland, or maybe just good luck! The outer layer spins, making this ring fun and unique. Present it in a gift box to add that extra special touch.